I’ve been really tired lately. Most likely because I’ve been power-watching The Walking Dead for the past two weeks which involves some pretty late nights. But I’m committed to catching up, you know? I just keep telling myself I’m exhausted because work is crazier than usual and when I’m not at work, I’m wrangling a two and a three year old. That sounds more responsible. I need to rest up because the tired state that I am in makes it really hard to wage the daily battle against the world’s most stubborn two year old. Don’t get me wrong, she’s definitely my sweet-as-pie-cuddle-bug at times, but man this girl is strong willed. There is no question that she knows what it is that she wants and will make it known – loudly – if you do not comply. I know what I should do when she gets like this. I should stand firm, hold my ground, not give in… But sometimes, when I should have gotten out the door twenty minutes ago to get to work on time, I just can’t do it. So this post is for the rule-breaking mamas and daddies out there who sometimes give in when they shouldn’t because they just need to get on with their lives. I’m here to tell you that you’re not alone! As you can imagine, this really sent LB into quite the tailspin. It made perfect sense. If you were channeling one specific princess and then were told that you look like another, you’d be upset too. She came running to me, crying hysterically, telling me how she looked like Rapunzel and not Anna. Evidently she had put a purple princess costume on over her clothes all by herself which only served to reinforce the fact that she looked like Rapunzel. I was so busy being impressed that she had put the dress on herself, that I didn’t really think far enough ahead to envision what type of ordeal would ensue when I tried to take it off so we could leave. I have a rule for the girls, that they can only bring their blanket and one toy with them to daycare. Mainly because I don’t want them to have a bunch of stuff with them that they will accidentally leave behind, only to realize that they have left something behind when they are getting into bed and now they suddenly can’t sleep without said left behind item. Nobody wants that. I finished getting ready and headed out to the living room to pack up the girls’ stuff for the day and get their coats and shoes on. LB was still wearing her costume and was dragging a Little Mermaid tote bag behind her. She had recovered from her earlier hysterics and happily exclaimed that she was “waddy” (ready). A quick look into her bag and I saw that she had packed her blanket, bunny, bear, baby doll and Olaf. I started by asking her if we could take the costume off so that she could get her coat on. She didn’t like that idea. Not. at. all. But I’d never let either one of them go to daycare in a costume before (and not for lack of asking). I changed the subject, moving onto the abundance of items in her bag. Could a few of them maybe stay behind for the day? This didn’t sit well with her either. We looked into each other’s eyes for a minute. Sizing each other up, wondering who was going to come out on top. Well, I caved. I didn’t even negotiate some sort of deal or compromise. I saw cold, hard steel in LB’s tiny eyes and knew that I’d be dragging her out the door kicking and screaming if I stripped her of the princess dress or disturbed one of her carefully packed items. PR looked at me disapprovingly as I put LB’s coat on over the shiny purple satin. I’m sure she was reliving the many times that I had told her she couldn’t leave the house wearing a costume and wondering why her sister was getting away with it. She must have seen my defeated look and taken pity on me because she didn’t say a thing about it. But her facial expression made it clear that she did not support my decision. We made it to daycare. I made it to work. I figure that this type of rule-breaking will result in one of three things for LB. She probably has a 48% chance of becoming a super success in whatever she does; someone who does not take no for an answer and doesn’t stop until she gets what she wants. Then there is a 45% chance that it will lead to soul-crushing defeat when she gets out to the real world and realizes that she can’t have whatever she wants and that life can be a cruel, princess dress stealing smack in the face. Or there is a 7% chance that I am just like any other parent who picks their battles, sometimes lets their two year old get the best of them, and my daughter will grow up completely normal and well-adjusted. Who knows. I’m leaning toward the 48%. Oh my. . I fear the day my baby becomes the diva i think she is. Lol! I was thinking I’d be sleeping again when they move out and go to college!! Your oldest sounds a lot like my youngest. SHe needed to be held or worn all the time when she was a baby or ense she would just cry. Oh and I was the only one that could hold her. Not even daddy. She refused to take a bottle for me and I thought I was going to have to quit my job! She did finally take it though at 14 weeks old. These kids sure do give us a run for our money!! It’s all worth it, though!! Totally worth it. Little girl still refuses to drink from a bottle at 22 weeks. She is my buddy but it would be so nice to leave the house without her, maybe just for a pedicure or a 30 minute sanity break at Starbucks. She is finally warming up to dad but the first 3 months she wanted nothing but me. We are discussing the option to have one more, we both really want a boy, but I wonder if a 3rd baby would have all the bad traits of the previous 2 or all the goodness of them. Either way, our girls are the best things we could ever ask for. My husband would want a boy too if we tried for #3! But I’d want a girl bc I have all the girly things! Little girl sounds a lot like Little Boo! She finally warmed up to daddy around age 2! 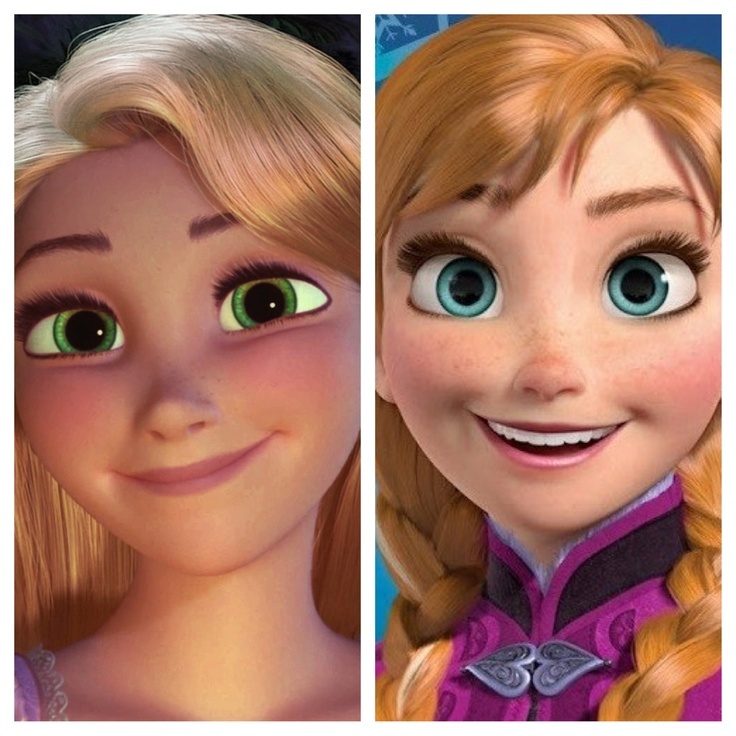 i sure do love me some anna from frozen though! You should try TWD. I was way scared but it turned out fine! I can’t wait til we get our frozen blue ray! Preordered from Amazon! We have the battle every morning with my insanley stubborn 2 and 3 year old! The three year old cant understand why she cant take every soft blanket she owns with us (she has 3 at daycare) and the 2year old who never backs down unlike the 3year old wants every hello kitty toy and refused to keep her gloves on. Some battles are just not worth it lol. Same here! My kids think that they need every one of their blankets, my 2 yo has about 15 Hello Kitties that she wants to bring and neither one of them will wear gloves. Too funny! My 2 year old is also obsessed with Hello Kitty She has two that i let her bring to day care one that we keep there so im not bringing them back and forth lol but she wants them all. Why do they need every Hello Kitty? I don’t get it! And if I ever left one at daycare I’m sure there would be a fit in the middle of the night due to the fact that LB would decide there is no way she could possibly sleep without this particular Hello Kitty!